Charles Miceli on Times Talk last October. Charles Miceli, known for his persistent work with the poor and the vulnerable, passed away suddenly on Friday. He was 68. A former head of Caritas prison inmates programme, Mr Miceli recently served as chairman of the Anti-Poverty Alliance. He started off as a journalist with Union Print and worked for many years in the drug rehabilitation sector with Church organisation Caritas. 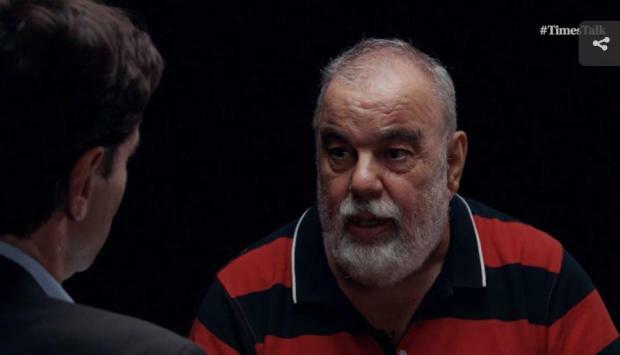 In an interview with Times Talk last October, Mr Miceli called for the regularisation of rent prices and an increase in the minimum wage, and insisted that cheap labour and precarious work was prevalent in Malta. He also criticised a justice system which, he said still seems bent on making criminals out of vulnerable people. He was married to Pauline Miceli, the Commissioner for Children. Minutes after his death was announced, tributes started pouring in. President Marie-Louise Coleiro Preca paid tribute to Mr Miceli, calling him one of Malta's greatest-ever champions of social justice and thanking him for his work and inspiration. The President offered her condolences to Mr Miceli's bereaved wife and family. In a statement, Caritas Malta expressed its shock at news of Mr Miceli's passing. "He worked tirelessly against social injustice, was a bastion of support for those on society's periphery and never stopped working with and for those without a voice," the organisation said. Moviment Graffiti said its members were "in utter shock, speechless" at news of Mr Miceli's passing. "He was an inspiration to all of us; leftists, activists and all those who believe that another world is possible," the group said, promising to keep his thirst for social justice and activism alive. The Malta Institute of Journalists also expressed shock at the news, and said Mr Miceli had always been a great professional in his many years as a journalist with Union Print. The Labour Party said Mr Miceli always stood out for the strength of his principles and praised him for his work on behalf of society's vulnerable, from the poor to those struggling with drug addiction. The Nationalist Party also expressed its condolences, saying he was "a man of principle who always looked out for the poor and weak, before any political interest."